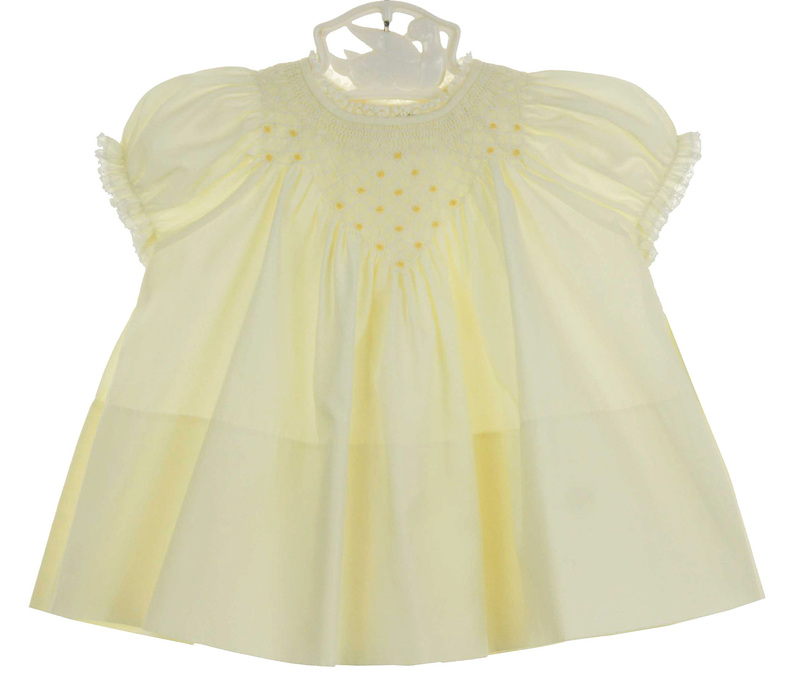 This lovely little pale yellow cotton blend smocked baby dress was hand embroidered in the Philippines. 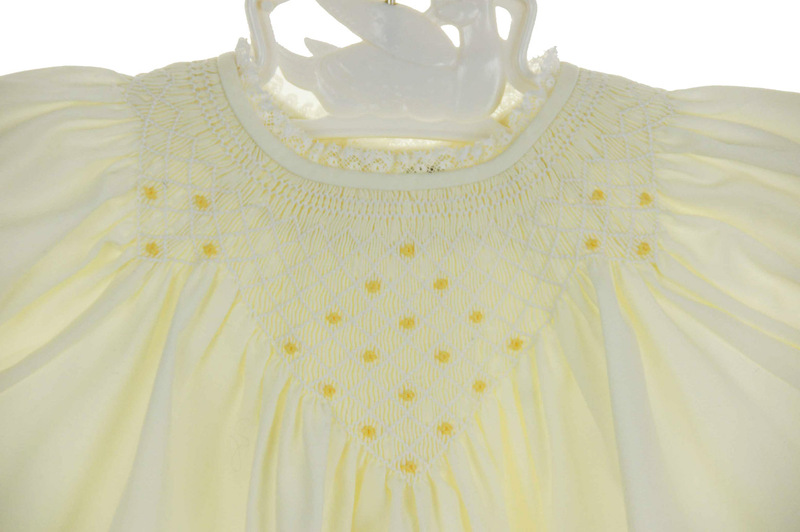 It features a beautifully hand smocked yoke delicately embroidered with tiny yellow flowers. This sweet classic dress has a round neckline and short puffed sleeves edged with white lace. It closes in the back with three small buttons. 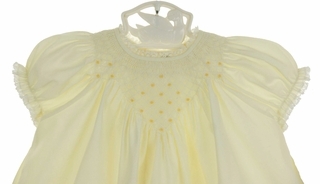 Perfect for a take home dress or portrait dress for your baby girl! Size 9 months bishopshoulder width=6¾"